Since the result from the 2016 European Union Referendum (aka Brexit), Sports Interactive included Brexit in Football Manager by adding several different expected outcomes after United Kingdom has left the European Union with the so-called soft and hard Brexit. This would mean that at one point of your career in England you’ll receive an inbox message that England has left the European Union, meaning that, too an example, rules about the amount of foreign players were hardened, in additional to other factors that’s impacted. With today’s news about Britain to head into a soft Brexit I decided to officially release the FM19 No Brexit and Work Permit Database. 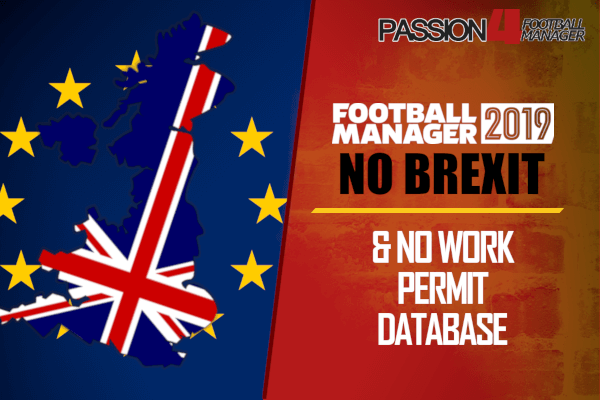 The No Brexit database disables Brexit from occurring in Football Manager 2019 and comes in two versions; one where simply Brexit is removed and one where the Brexit agreement is removed and Work Permits are disabled in England. Additionally, you’ll find a third database in this article which removes the need for Work Permits when managing a club in Europe, meaning you’ll free to buy as many South American or African talents and other players outside the European Union as you prefer! 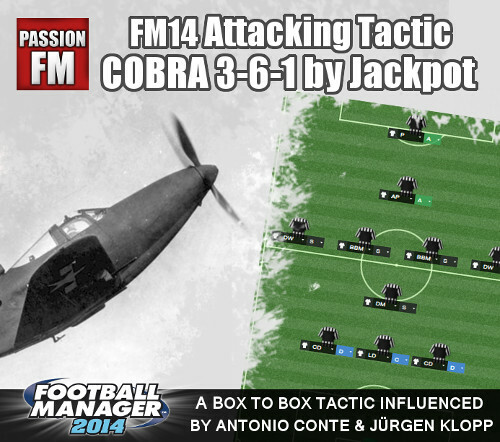 Download Passion4FMs Football Manager 2019 No Brexit & No Work Permit Database today and be free to buy players from any nations and whomever you’ll want! The FM19 No Brexit database simply removes the British Referendum from happening as like a second election was held that voted against NOT leaving the European Union, or like Brexit has never happened. You’ll be able to play Football Manager 2019 in England like you’d used to prior to FM17. You’ll still need to apply for work permits for signed players outside EU, and rules about X amount of home grown players are still valid. The No Brexit database is a great option for anyone managing in England, and is the perfect companion with the upcoming English Lower leagues database, as the more you advance in the game, the higher the chance of Brexit happening. Another option to download is this FM19 No Brexit & No Work Permit database. Apart from disabling Brexit it removes the need to apply for work permit for any non-EU players, so called foreign players recognizable in Football Manager 2019 with abbreviation Fgn. It gives you the option when managing in England to buy players from Brazil, Argentina, Ukraine, Serbia and other nations outside EU in additional to ensure Brexit won’t happening as you battle your way from the lower leagues to the top. NOTE! League rules about the amount of home grown players are still valid. 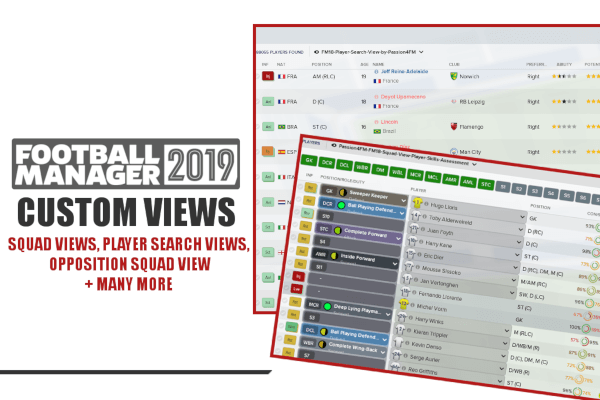 The last option is our FM19 No Work Permit database which removes the need to apply for work permit for any non-EU players, so called foreign players recognizable in Football Manager 2019 with abbreviation Fgn. It gives you the option when managing any club throughout Europe to buy players from South America, Asia or Africa. These players are then treated as players of origins within the European Union. Without work permits you’ll will not be as restrictive in the transfer market. Download any of the databases above. 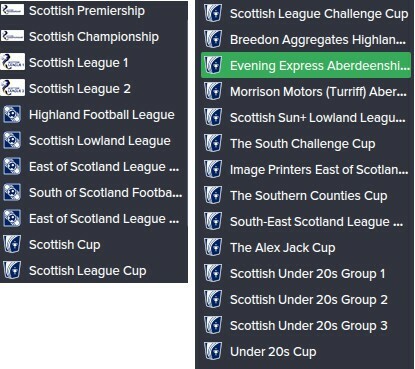 We hope you’d enjoy our Football Manager 2019 databases. If you’re a database creator, message us and we’ll gladly publish your work! Stay tuned for more FM19 databases coming!